With the elimination of the rule requiring players to take the field for the national anthem, teams will have the ability to set their own policies, including the ability to discipline a player for any protest during the anthem. ATLANTA — NFL owners approved a new national anthem policy Wednesday that gives individual teams the authority to set their own anthem-related rules and permits players to remain in the locker room during the playing of the anthem, according to a person familiar with the deliberations. The new policy eliminates the current requirement from the league’s game operations manual for a player to be on the field for the playing of the anthem, allowing a player to remain in the locker room. Teams would then have the ability to set their own policy for players who choose to take the field for the anthem, including the ability to discipline a player for any protest during the national anthem. Teams would not have the ability to force players to take the field for the anthem, however. The new policy also is expected to contain a clause that the league could fine a team for any protest by a player on the sideline during the anthem, according to a person familiar with the owners’ deliberations. Any team that wants to allow players to protest would have to be willing to pay a potential fine by the league. The change will go into effect for the upcoming season. “This season, all league and team personnel shall stand and show respect for the flag and the Anthem,” NFL Commissioner Roger Goodell wrote in a statement released by the league. “Personnel who choose not to stand for the Anthem may stay in the locker room until after the Anthem has been performed. There did not appear to be sufficient support among the owners for a leaguewide requirement that players stand for the anthem. They could have left the previous policy unchanged. They could have sought a compromise by making the anthem policy a decision made by the home team for each game. They could have reverted to the sport’s pre-2009 approach and kept all players in the locker rooms until after the anthem is played. Dallas Cowboys owner Jerry Jones said last season that he would bench any Cowboys player who refused to stand for the anthem. 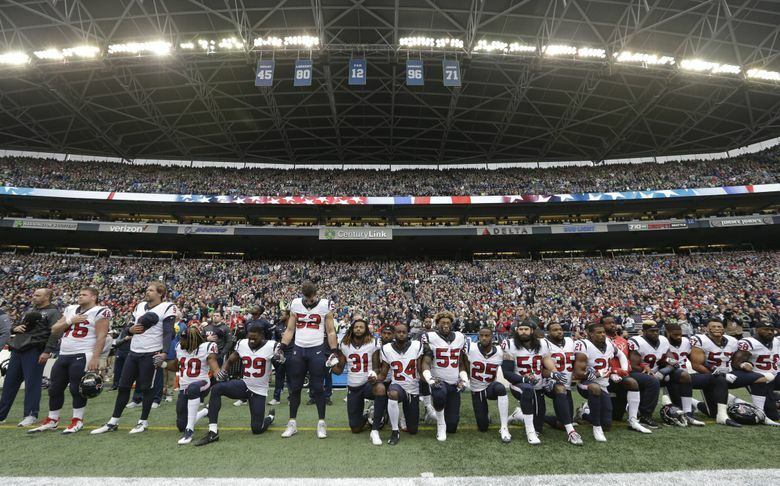 Houston Texans owner Robert McNair said at the annual league meeting in March that NFL playing fields are not the place for political statements. Cincinnati Bengals owner Mike Brown reportedly told free agent safety Eric Reid this offseason that he plans to require Bengals players to stand for the anthem. But other owners have said that while they would like players to stand for the anthem, they are not prepared to require it. That was the approach taken by owners when they met last October in New York and did not change the previous anthem policy. That previous policy, written into the game operations manual given by the league to teams, required players to be on the sideline for the anthem. It said that players should stand for the anthem but it did not require it. The issue became a national controversy last season after President Donald Trump and some fans were sharply critical of protests during the anthem by some NFL players. The protests continued last season after being started during the 2016 season by quarterback Colin Kaepernick, then with the San Francisco 49ers. He refused to stand for the anthem in protest of the treatment of African-Americans in the U.S. Kaepernick was out of the league last season and he and Reid have pending grievances accusing the league and teams of colluding to keep them unsigned. 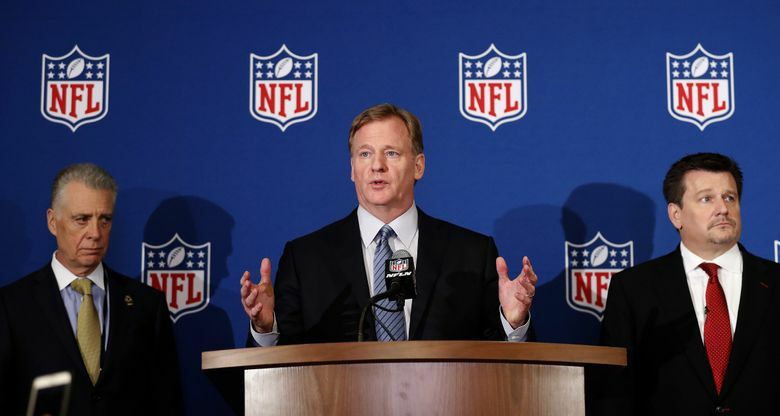 “The efforts by many of our players sparked awareness and action around issues of social justice that must be addressed,” Goodell wrote in the statement. “The platform that we have created together is certainly unique in professional sports and quite likely in American business. We are honored to work with our players to drive progress.